Chip’s CareTaking provides prompt, reliable and dependable maintenance of vacation homes, providing timely CareTaking property management services. Chip’s CareTaking services provide Northwoods homeowners who may be away from their residence peace of mind, regardless of the season. These services may include weekly or bi-monthly inspections for maintenance, repairs and security. Together we can plan and design a program that will meet your needs. Chip’s CareTaking takes care of your property as if it were our own. Financial literacy evaluation, education, and assessment, vocational employment planning, business plan development – home based enterprise or business plan, job placement/coaching/search/development, work experience. employment maintenance, Post employment follow up. Email or Call Chip Mullineux for an appointment. Protect, conserve, enhance tribal natural resources for present and future generations for and on the Lac du Flambeau Tribal Reservation. Full service transfer station. For all your waste hauling needs. 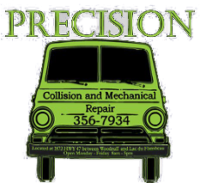 Honest auto body, paint and mechanical repairs at a fair price. Cory Stowe and Robin Engebretson are certified mechanics. Cory is also a body and paint technician. Free estimates and insurance claims assistance! Call today for the lowest tank lease in the area! Refill grill tanks, RV and motor home tanks. Fast, friendly service makes the difference! Throughout your life, your financial needs and goals are very likely to change. At Thrivent Financial for Lutherans, our broad financial portfolio is designed to fit your ever-changing needs. Whether you’re just starting out, looking to save for a big purchase, or planning the retirement you’ve always dreamed about, we can help you meet your goals. Visible North is Wisconsin’s full-service Internet marketing agency based out of Lac du Flambeau. Specializing in boosting businesses’ web traffic through search engine optimization, pay-per-click campaigns, online reputation management, website design & development, conversion optimization and a host of other online presence building services. Learn more about our Internet marketing services and contact us today to start increasing your web traffic! Electric and natural gas company serving Northeastern Wisconsin.